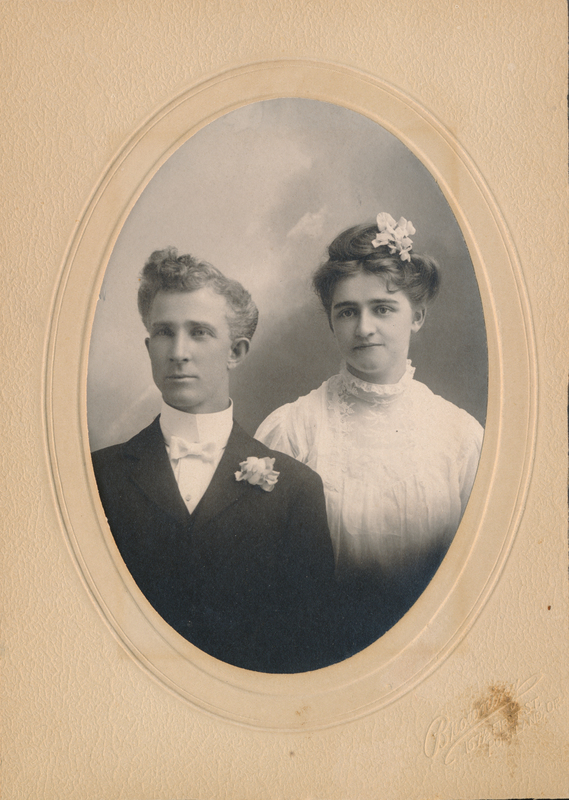 Description Likely a wedding photo of Preston Theodore Glenn and Marion Hazel (Magone) Glenn. Marion (Mary Ann) was the second daughter and second of eight children born to Daniel Dean Magone (3rd) and Henrietta Sussannah (Carman) Magone. The couple were married in at Springbrook Farm on the Carman Donation Land Claim near Oswego, Oregon. Photo courtesy of Gary Glenn.